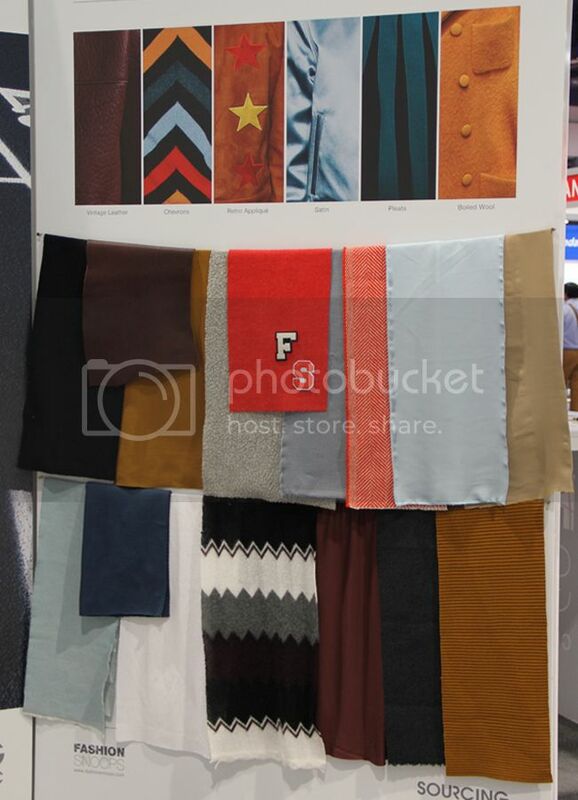 As we edge into fall 2015, another season of fashion trade shows has come and gone, and with it comes new ideas, hundreds of photos, brand discoveries, and trend forecasting seminars. My favorite aspect of attending the trade shows is catching up with the experts at New York-based trend forecasting firm Fashion Snoops. If you follow me on Instagram, Facebook, Twitter or Snapchat @thekeytochic, then you might've already seen some sneak previews. Don't miss out...click on over and follow along on my Facebook page and my Pinterest trend boards, where you'll have access to trend info, fashion inspiration, shopping reports, and outfit ideas. You'll also find more detailed photos of each trend, along with current retail examples. October 3, 2016 update - See 12 top fashion trends for fall 2016 and winter 2017 in my style guide on Fashion Trend Guide. September 21, 2016 update - See 4 trends for fall 2016 with luxury retailer Orchard Mile. August 24, 2016 update - See six trends for fall 2017 and winter 2018. August 20, 2016 update - See the top 7 fashion trends for Juniors for fall 2016/winter 2017 and the top 7 footwear trends for fall 2016 and winter 2017 as spotted at MAGIC trade show. August 7, 2016 update - See the top 8 back-to-school fashion trends for fall 2016. For more inspiration, see my ten spring 2016 trends for Juniors, spring and fall 2016 footwear trend report, my spring/summer 2016 trend forecast, my spring/summer 2017 trend forecast, my seven denim trends for spring/summer 2017, and my 2016 denim trend report. *Please note that this blog post is adapted from Fashion Snoops, is protected by copyright laws, and may not be republished without permission. Students, please feel free to use this information for school projects as long as it's not reproduced or republished online and you properly cite Fashion Snoops and The Key To Chic as sources. Let's talk about upcoming trends! For fall/winter 2016/2017, Fashion Snoops is calling out four key Womenswear trends: Raven, Method + Madness, Varsity Daze, and Weekender. In this trend report, I'm going to share key points and photos from their trend galleries and their trend forecast. We'll take an in-depth look at the inspiration, materials, colors, and key items for each trend. Let's get started with Raven, the first trend. Like a darkly romantic poem, Raven is a dramatic journey along the twisted and shadowy road of tradition. Styled in Victorian blouses, riding coats, and plenty of layered evening wear, they spend hours in front of the many ancestral gallery walls with portraits of past generations - painted ghosts who keep watch over the house and its inhabitants. Their estate is full of enigmatic corners, perfectly weathered surfaces, and just the right amount of grandiose. The ornate wardrobe is a Gothic love letter to the formality of a bygone era, when things like flocked velvet (like on this designer blouse), dreamy florals, rich tapestries, and delicate lace actually stood for something instead of being gratuitous decoration. Raven is a celebration of the dichotomy in the world - light and dark, extravagant and demure. 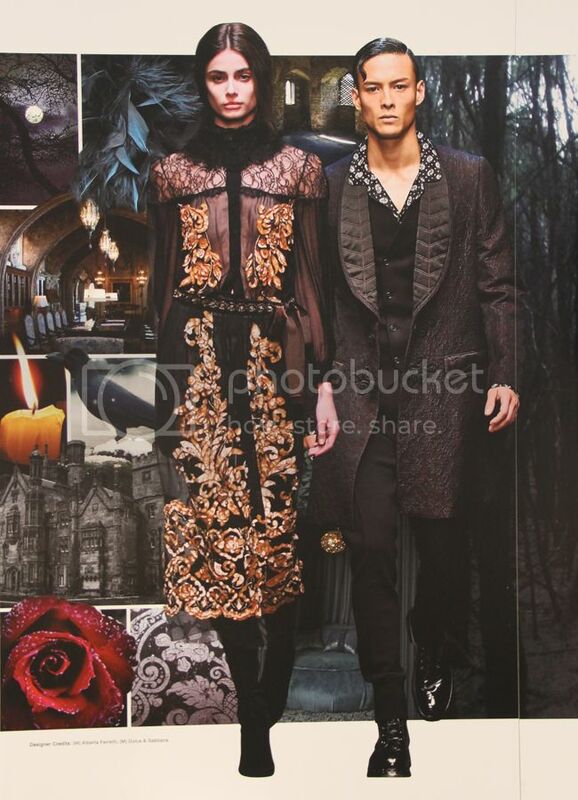 A very ornate wardrobe comes through with Raven, along with a Gothic influence. Raven is named for the famous Edgar Allan Poe narrative poem. Silhouettes for this trend have Victorian references. Influences include the TV drama series Penny Dreadful and the Alberta Ferretti fall 2015 runway. Colors include jewel tones such as purple, burgundy, eggplant, forest green, and diver blue. 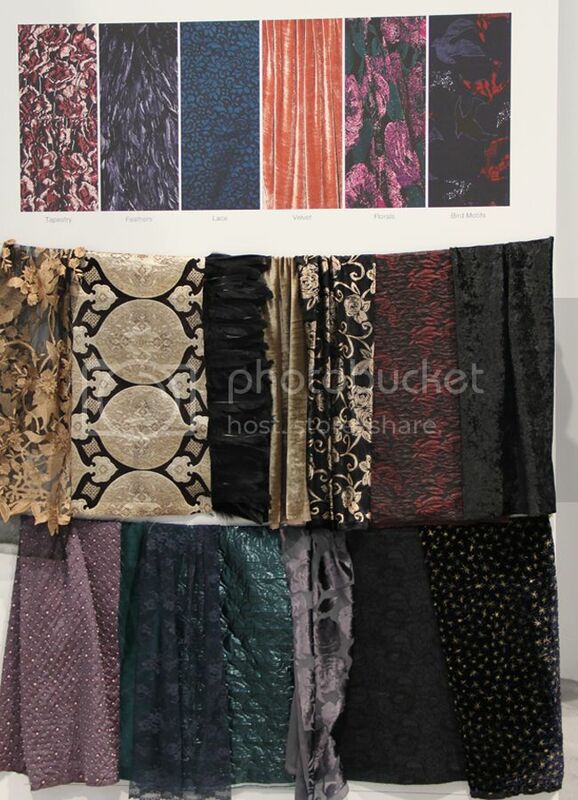 Materials are romantic, rich, and feminine: lace, Swiss dot materials, tapestry, jacquards, high pile fabrics, and velvet. Patterns are dark and beautiful: painterly florals, midnight motifs, and birds (more specifically, swallows). Design details are highly embellished: embroidery, feathers, clustered jewels, and black-on-black styling. Victorian high necks and ruffles are key. Silhouettes are: the maxi dress with a high neckline, woven turtlenecks, the midi dress, the floor duster coat, the A-line midi skirt, the sheath dress, and the cape. Accessories are vintage inspired: the lace-up tall boot, strappy pumps, the fur stole, the top handle bag, and the tie belt with fringe. According to Fashion Snoops, Method + Madness defines a curious collector who is disturbingly informed about scientific theory, the early days of medicine, chemical reactions, human anatomy, and the ancient practice of alchemy. Minimalism is re-examined through a scientific lens, yielding a sterile look in which uniform dressing is explored. Design-forward seams, folds, and cut-outs mimic the systems of the body to achieve utility function. Artificial and real compositions are expressed through both transparent and concealed materials that envelope the body. Curated chaos is reflected through a strong foundation of tailored separates, crisp woven shirts, and "technical wear." Method + Madness signals a new age of accurate and purposeful design that many can appreciate. It's inspired by a lab-like setting. Textures are skin-like, with the Akris runway being one of the trend's inspirations. Colors are light and clinical. 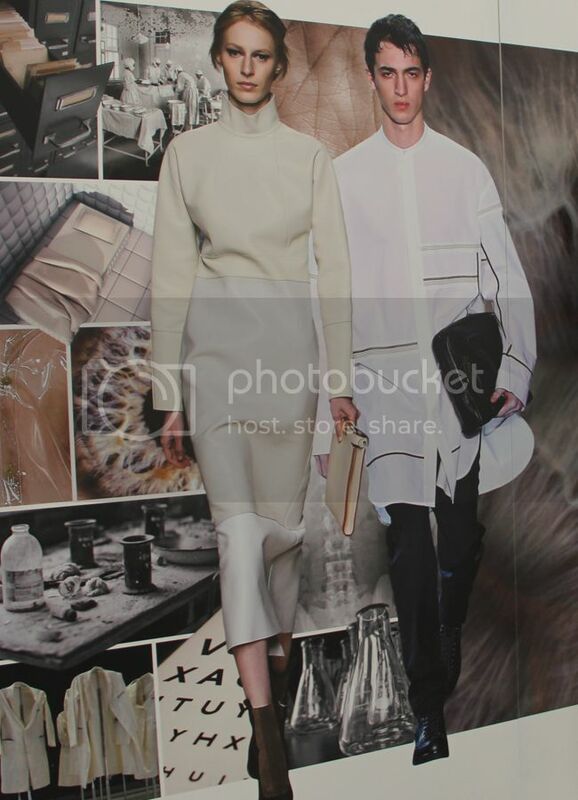 Skin-like neutrals such as biscuit, gray, ivory, and rose taupe figure prominently. 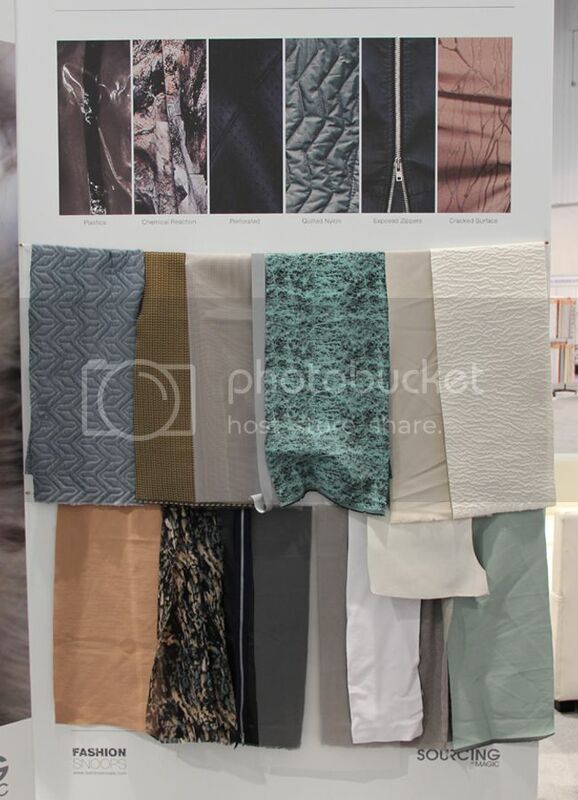 Materials are either tactile or artificial: PVC, perforated materials, reptile skin, boiled wool, burnout fabrics, astrakhan, and sheer organza. Graphics are scientific: nerve ending prints, flesh, creases, veins, lines, and scratched surfaces. Details for construction are important. Tucked folds and panel work are key. Longer sleeves, turtlenecks, zippers, and drawstrings are also important to Method + Madness. Key items include the midi dress, tunic, culottes, wide-leg pants, the knit turtleneck, wrapped midi skirt, sleeveless coat, and the floor duster. Accessories are minimalist: stocking boots, elastic headbands, crossbody bags, and circular eyewear. The inspiration behind Varsity Daze: It encapsulates the highly spirited crop of collegiate athletes seen through a vintage-y filter. Their lives center around campus as they proudly wear their school colors. She has killer style which combines Ali McGraw's perfect mix of prep with a retro sport vibe. He continues his dad's football legacy and wears vintage varsity stripes. Strong community ties are key, while the '70s play a role reminiscent of a Wes Anderson film. Classic sport elements are updated with a fresh take on color and texture that define the new all-star. 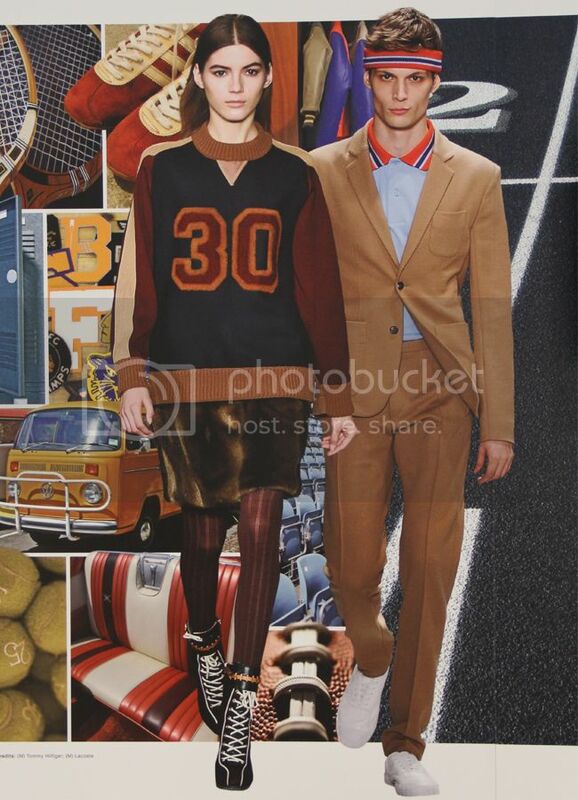 With Varsity Daze, the sport influence is mixed with a 1970s retro vibe. 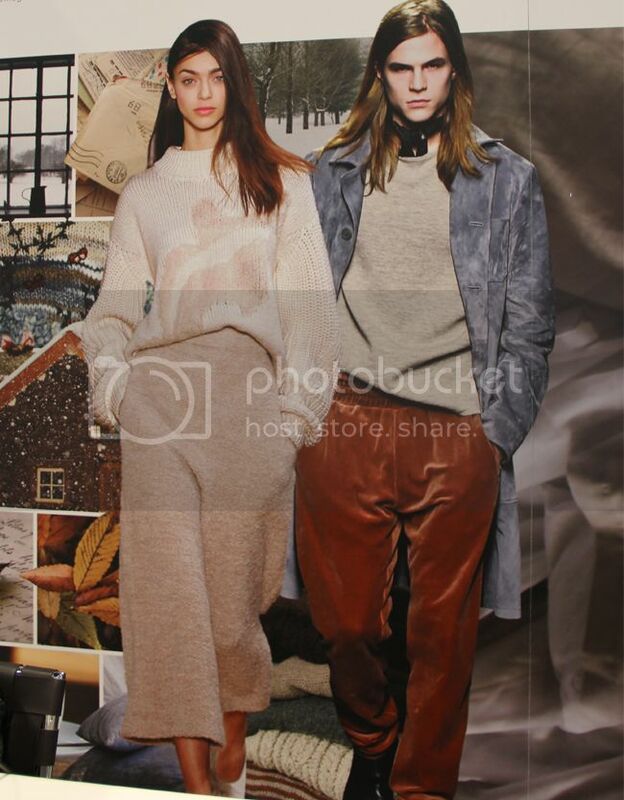 Margot Tenenbaum, the Lacoste fall 2015 runway, and Tommy Hilfiger are key influences for the trend. The color palette is rich with marigold, copper, scarlet fever red, navy (as a base tone), plum, and baby blue. Materials are: tweed, shearling, boiled wool, sheer satin, cable or honeycomb knitwear. Graphics include numbers, locker room motifs, team pendants, patches, and line details such as rugby stripes, chevrons, and color blocking. This color block polo top is a great example. Design details are about add-ons: snaps, shoulder buttons, leather sleeves, letterman-type appliqués, and piped trim. Key items include: the pleated A-line skirt, oversized V-neck sweater, the track pant, sweater dress, culottes, the cape, the woven tee, and the turtleneck sweater with stripes. Accessories are the football bootie, the kitten heel loafer, oversized sweatband, the appliquéd tote bag, and the knit scarf with blanket stripes. The idea behind Weekender: Sun-drenched afternoons in the city loft or the country cottage, brunch in bed, and a bit of vintage-y charm create a renewed peace of mind. Inspired by cozy classics, extra-plush surfaces, and cocoon-like living, the Weekender knows the value of slowing down. The languid romance of wintery pastels, oversized coats, restful velour, and pilly flannel are easy like Sunday morning. In fact, the entire point is to find ways to wear your bed. This evolution of the Athleisure trend pairs tranquil basics back to sneakers and sweats for the ultimate in city chic. In addition to the many essential fabrics and layers, the allure of café culture is a major influence - how to take the chaos out of the world around us and just enjoy the soul. Weekender is about cozy classics and quiet, calm basics. Think Sunday morning, breakfast in bed, and taking it slow. Influences include the Tibi fall 2015 runway and the classic Lionel Richie song Easy Like Sunday Morning. 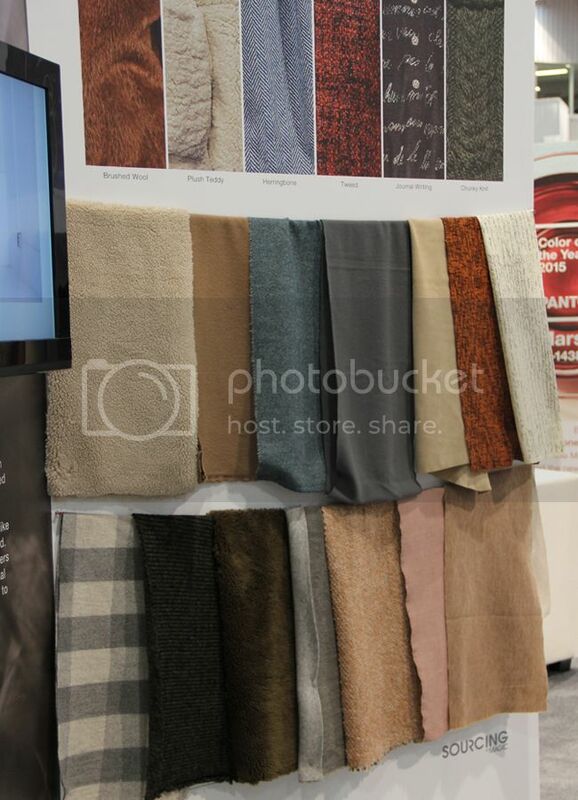 The color palette is light, warm, and cozy with soft tones such as ivory and biscuit. Darker tones are camel, roast brown, olive, and chambray blue. Materials are the heart of the Weekender conversation. They're tactile and soft: brushed wool, mohair, cashmere, wool felt, and fur. Graphics are journal-inspired with illustrations, water reflections and raindrops. Design details are mixed media, patchwork, and larger buttons. Shapes are elongated with layering. Key items are culottes, the turtleneck sweater dress with relaxed shoulders (see a sweater version here), floor duster coat, wide-leg pants, cable knit pants, and the oversized blanket coat. Accessories are the fur wedge bootie (similar style), slip-on sneaker, oversized tote bag, the chunky infinity scarf, and the beanie. To see more photos with color palettes for each trend, check me out on Pinterest, where I'll be posting additional trend forecasting info and inspiration. For a look at shoes, see my 2016 footwear trends on Fashion Trend Guide. Catch up with me on Facebook, Snapchat, and Instagram @thekeytochic for exclusive fashion content, shopping, and personal style photos. Want even more trend forecasts? See my ten spring 2016 trends for Juniors, spring and fall 2016 footwear trend roundup, my spring/summer 2016 fashion trend forecast, my spring/summer 2017 trend forecast, my seven denim trends for spring/summer 2017, a childrenswear trend forecast for spring summer 2016, or my fall 2015/winter 2016 fashion trend forecast.